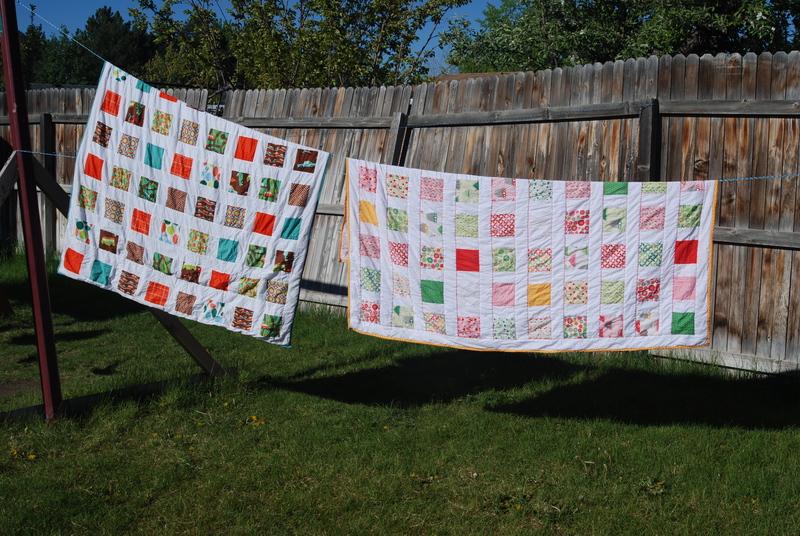 My two oldest kids have quilts that are just smaller than twin size that I made for them a few years ago. I made them that size because they were smaller then (2 and 3) and I wanted them to have something that would last a while, but that they could still drag around. Here is a picture of them hanging out all wrinkly style on the line last summer. Since Allison had turned 2, I decided she also needed a blanket of a similar size. 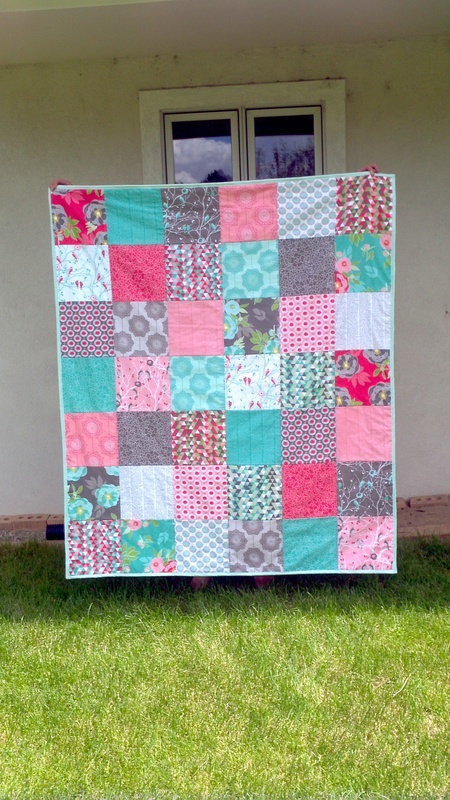 I had some lovely Summer Song by Riley Blake that I had been hoarding for a while for this exact purpose, so I was very happy to make a simple but fun quilt for Allison’s “toddler quilt”. I apparently didn’t take any actual photos of it on my camera because it was going to live at my house (and I get to see it all the time) but I did manage one terrible one on my phone (that I posted to instagram then promptly deleted). Another new quilt that lives at my house was made for baby Mikey while he was still in my belly. 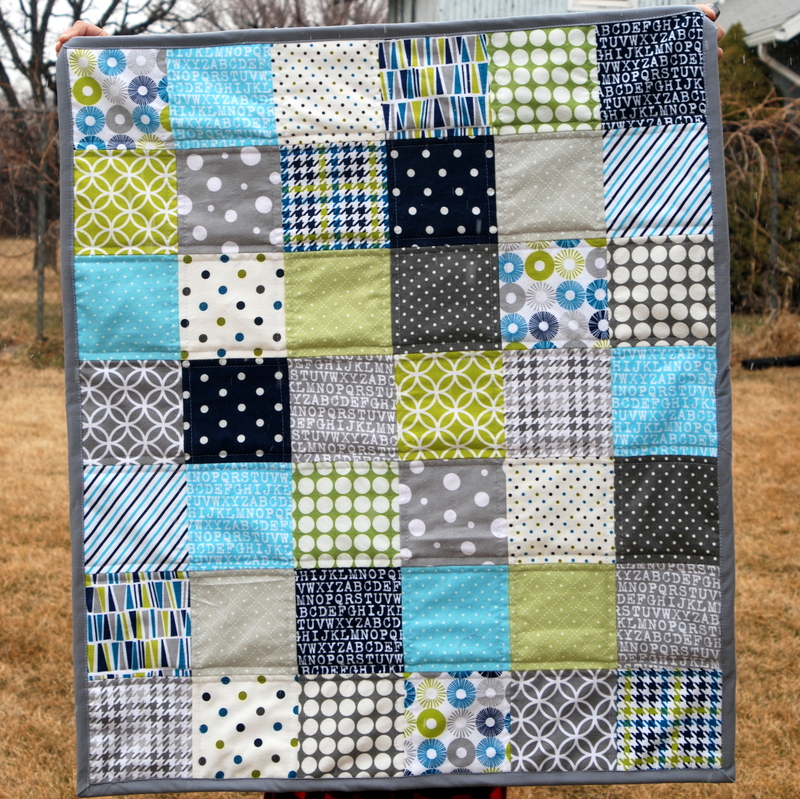 A very simple and easy charm pack quilt, I simply took the adorable Cozy Cotton Flannel charm pack by Robert Kaufman and put it into an eye-pleasing arrangement. I quilted vertically and horizontally on both sides of the squares making a cool grid pattern on the back. 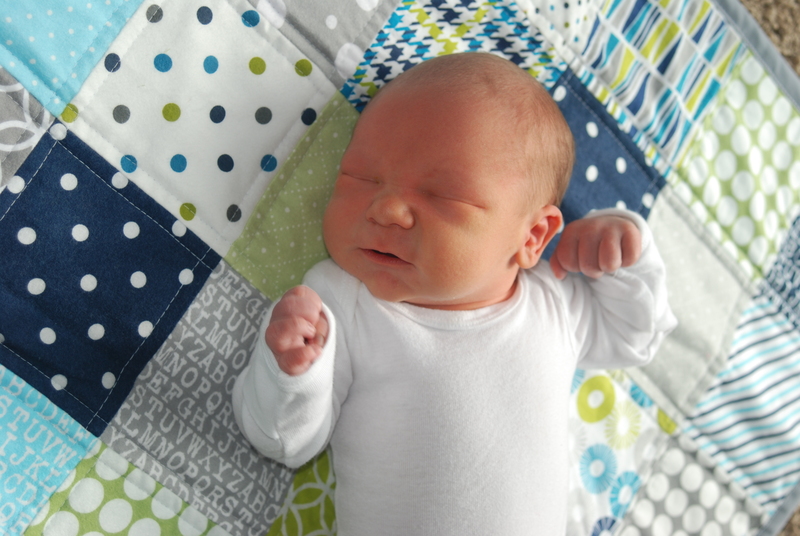 Here is baby Mikey enjoying his quilt at just a few days old. 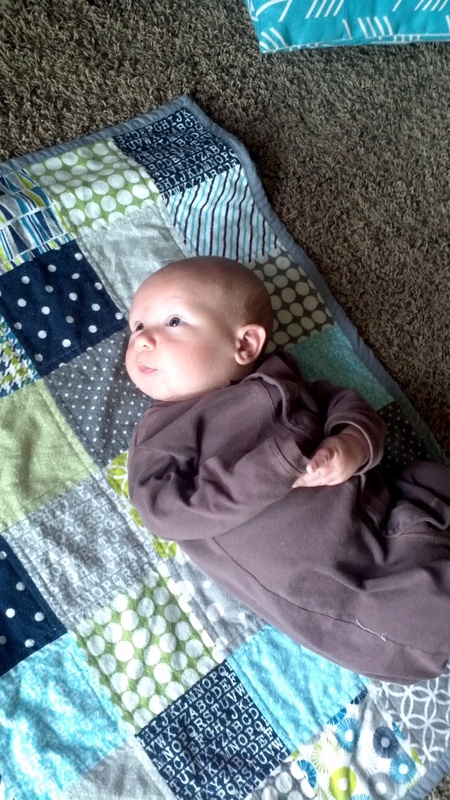 Now that he is 2.5 months he loves lounging on it during tummy time and trying to scoot off it while on his back. 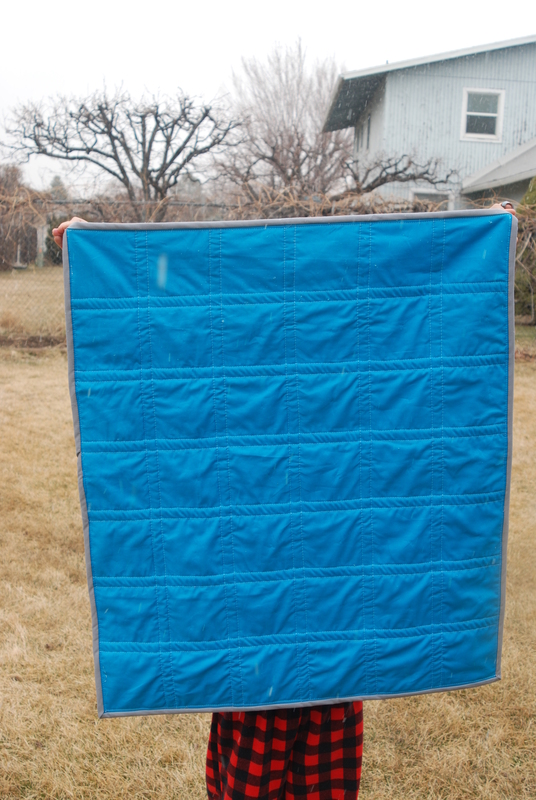 The back of the quilt is a beautiful bright Kona Solid, and it is bound in a gray Kona Solid. I pretty much love these colors, and love charm packs in general for quick beautiful quilts. 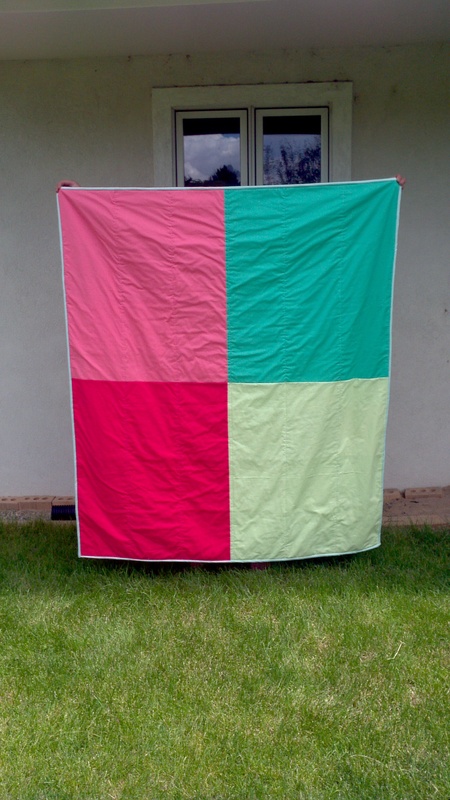 The newest quilt to join our family is one I made for myself for the summer. Technically I should be sleeping with a sheet because it is 95 degrees every day, but maybe I was just looking for an excuse… A bit ago I bought a charm pack of Cottage Garden, a BEAUTIFUL line by The Quilted Fish for Riley Blake (I clearly have a Riley Blake problem). I turned it into a little baby quilt, and when it was finished, I knew I needed a big version for myself. I made myself wait until I sold some extra fabric, but pretty much the second it sold I bought a Layer Cake of the same fabric. The best thing about Layer Cakes and Charm Packs (besides not cutting) is getting some of the entire line without having to spend a billion dollars for yardage of each one. If designers could just stop making such cute fabric then it wouldn’t be a problem, but that doesn’t seem to be happening any time soon, so… Anyway, here is my big version!